While the official grand opening, complete with ribbon cutting is not until Apr. 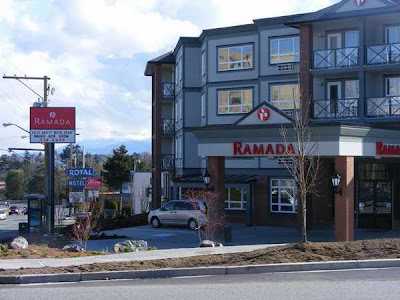 26, the new Ramada Inn is now open for business. They are located at 315 Rosehill Ave. at the corner of Terminal Avenue, which is a brisk 15 minute walk from the new convention center. 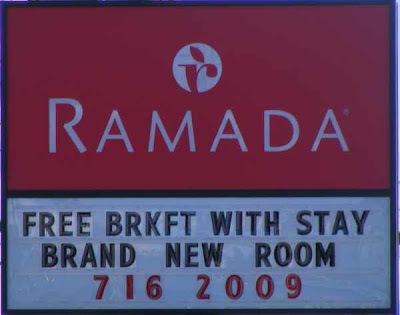 Boasting brand new rooms and a free breafast with each stay it should not be long before they begin filling up with vacationers and business people alike. The nicely landscaped lot has ample parking and of course the hotel is close to everything. To book your room you can use their toll free number of 1-866-925-2009 or if local call 250-716-2009.